An Easy, Affordable Upgrade to Solid State Technology - Optimized for use as a cache drive, the SanDisk ReadyCache SSD features an innovative design that works with your existing hardware. Setup is easy: simply plug the drive into an available SATA port and power, and then install the ExpressCache software. Since it works with your existing hard drive, SanDisk ReadyCache SSD lets you experience SSD-level performance without transferring your files or reinstalling your operating system. The drive comes with everything you need for a quick and easy installation, including a 12-inch SATA 6Gb/s cable, a 3.5-inch bracket, and screws. Fast Data Speeds Deliver Quick Program Loading - With read speeds up to 480MB/s, the SanDisk ReadyCache SSD can boot up your operating system up to four times faster than a typical 7200RPM 500GB HDD. It also provides application response times up to 12 times faster than a traditional hard-disk drive. Reliable Design with Low Power Consumption - Requiring less power than a traditional HDD, the SanDisk ReadyCache SSD only consumes 50mw while active--so it won't stress your computer's power supply. 32GB Capacity Offers Ample Caching Space - The SanDisk ReadyCache SSD offers optimum space to cache your most-used programs and data. With a 32GB capacity the cost remains affordable while the ExpressCache software automatically manages the drive's data to increase overall performance. 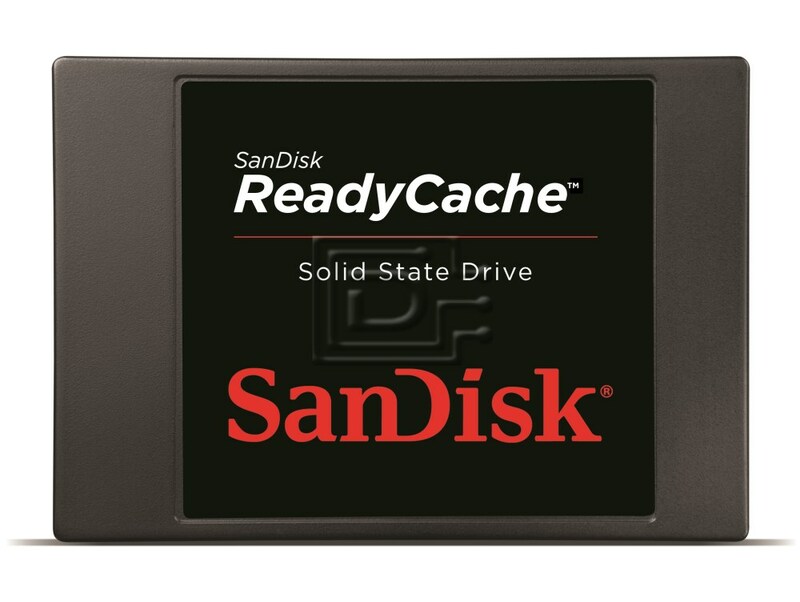 Works with ExpressCache Software to Accelerate PC Performance - The SanDisk ReadyCache SSD is designed for use with ExpressCache software by Condusiv Technologies, an innovative data-caching program that helps your PC store and access data faster than with an HDD alone. This downloadable software uses advanced caching algorithms that allow your computer to learn user storage behavior and automatically caches your most frequently accessed applications and data on the SSD, retrieving it at extraordinary speeds. Your PC will experience a performance boost from bootup to shut down.